The most exciting new guitar band to burst through in the UK is Catfish and the Bottlemen. 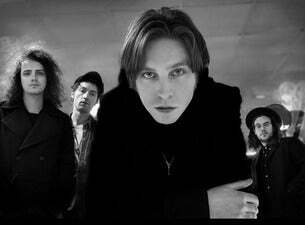 Their debut album is 2014's The Balcony, written by charismatic frontman Van McCann. Catfish and the Bottlemen were awarded Best Newcomer at the 2014 BBC Music Awards. The band released their second album, The Ride, in 2016, with a third album, The Balance, being released in April 2019. Catfish and the Bottlemen ended 2018 with new year dates in Australia before returning to their ever-growing fan base at home with early UK 2019 shows including a rescheduling of their existing dates at The SSE Arena, Wembley. Catfish and the Bottlemen have also announced another small UK tour for May 2019 to promote their latest album.